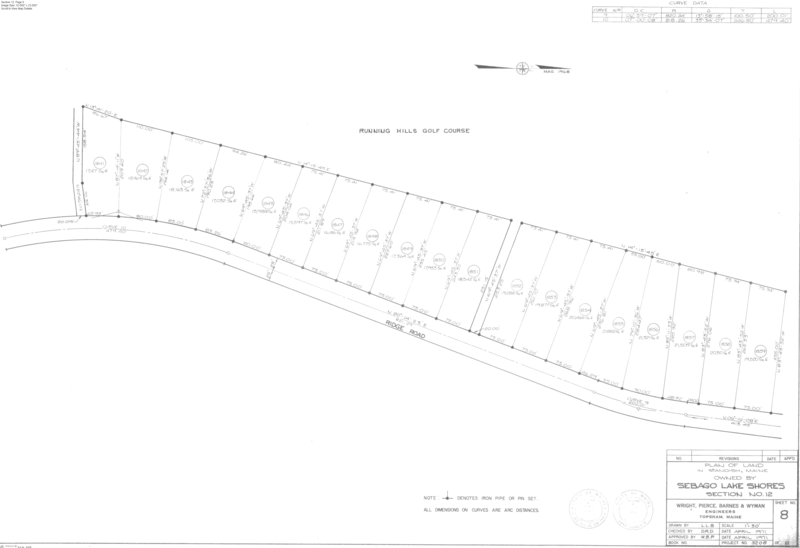 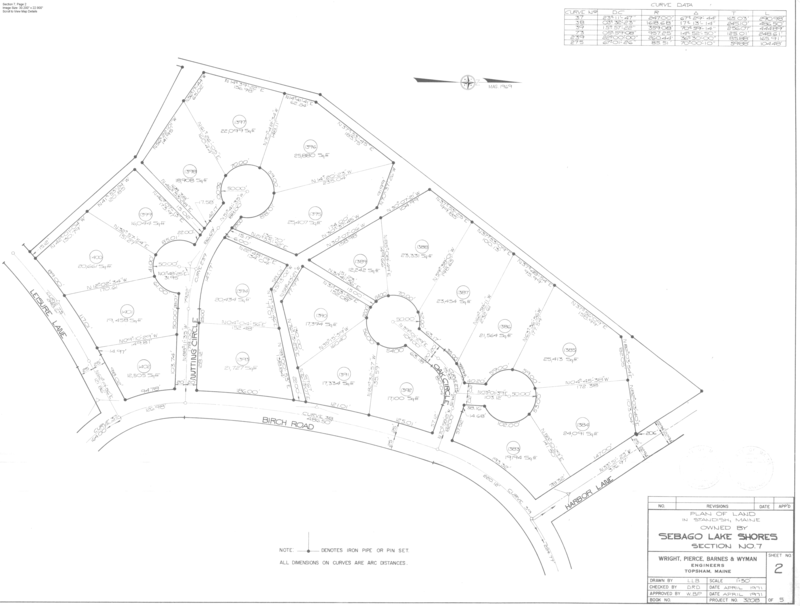 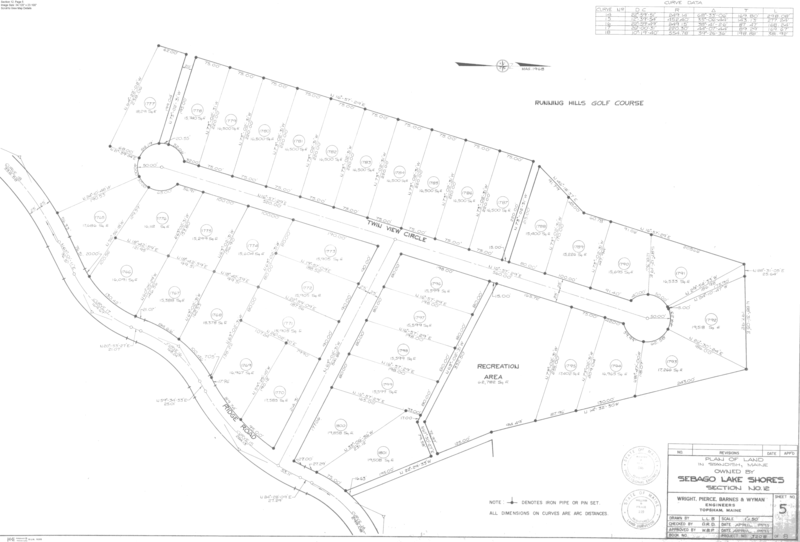 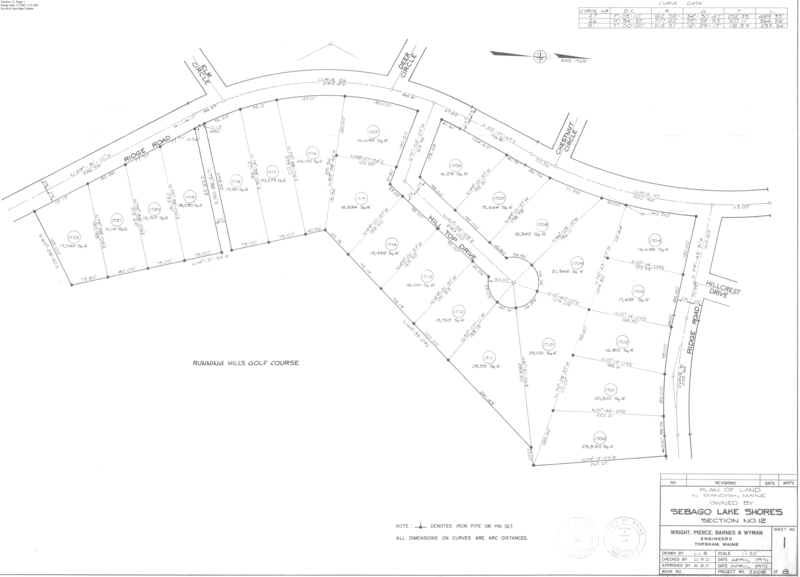 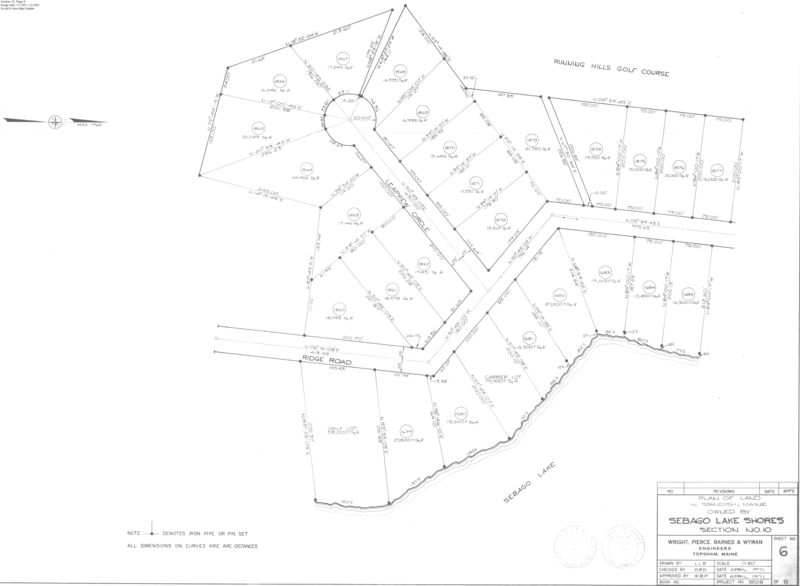 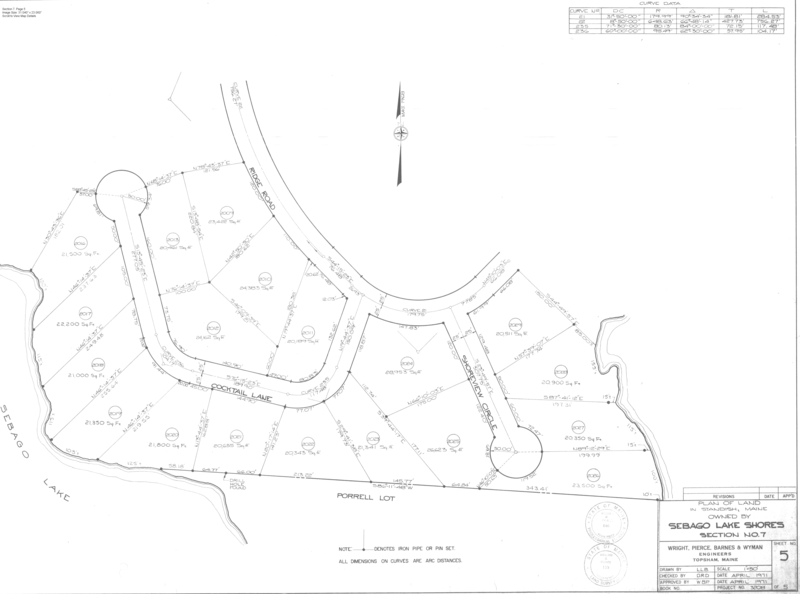 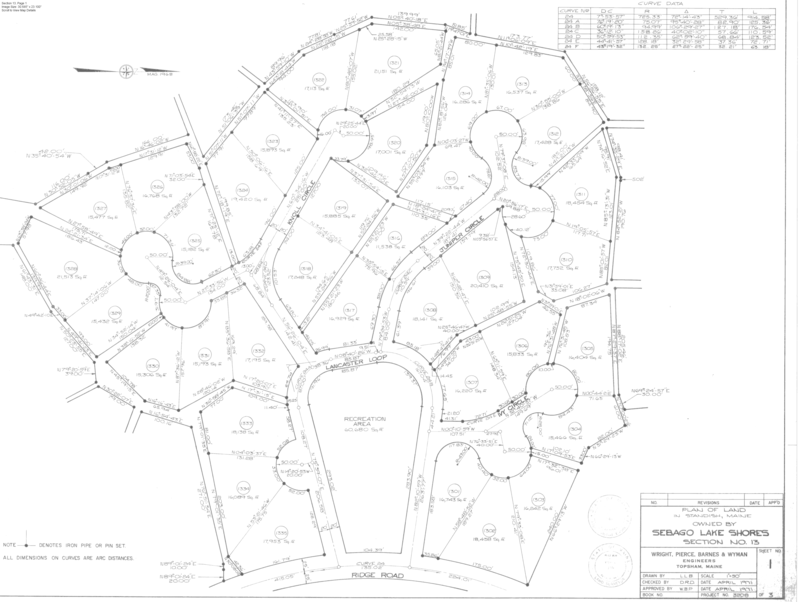 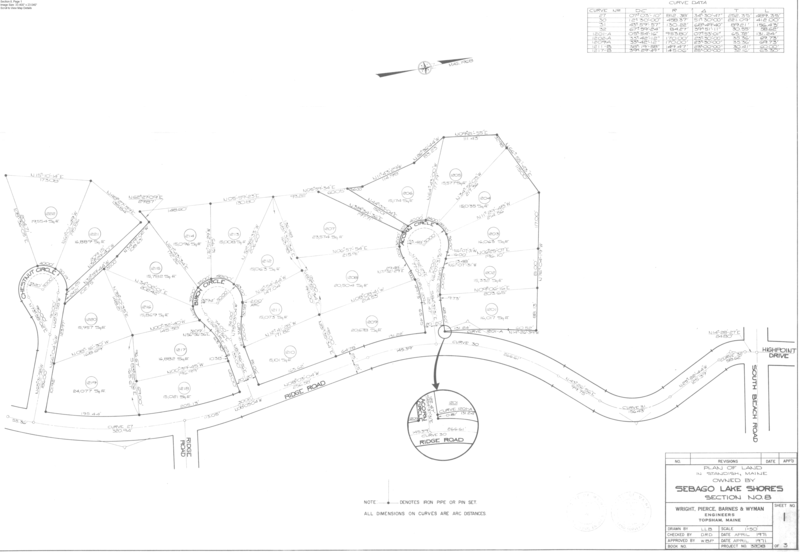 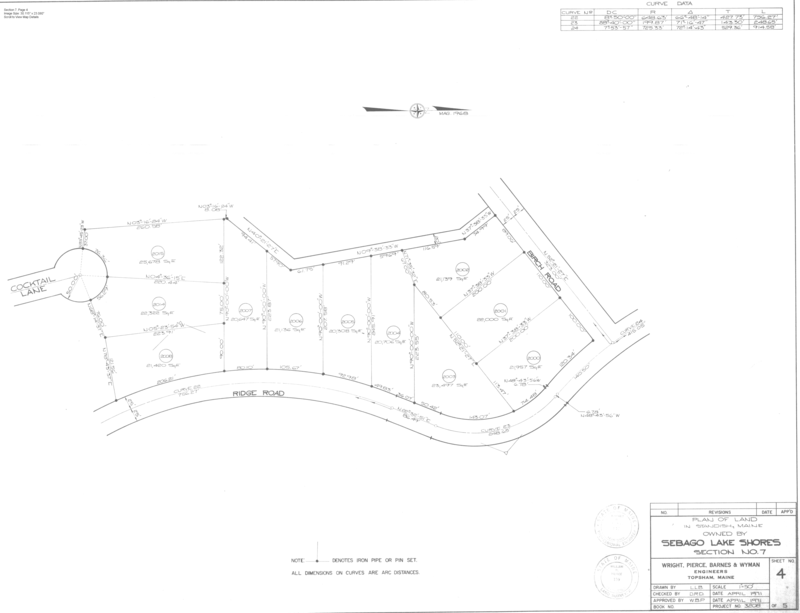 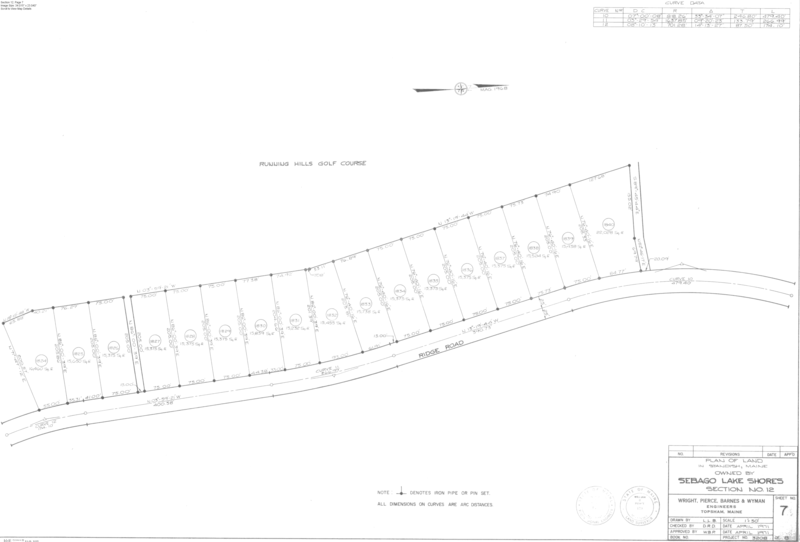 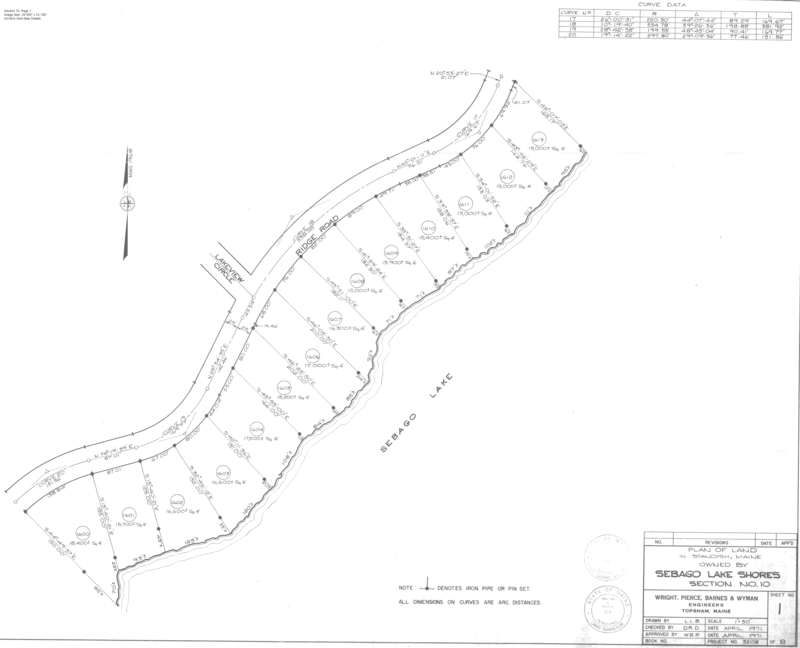 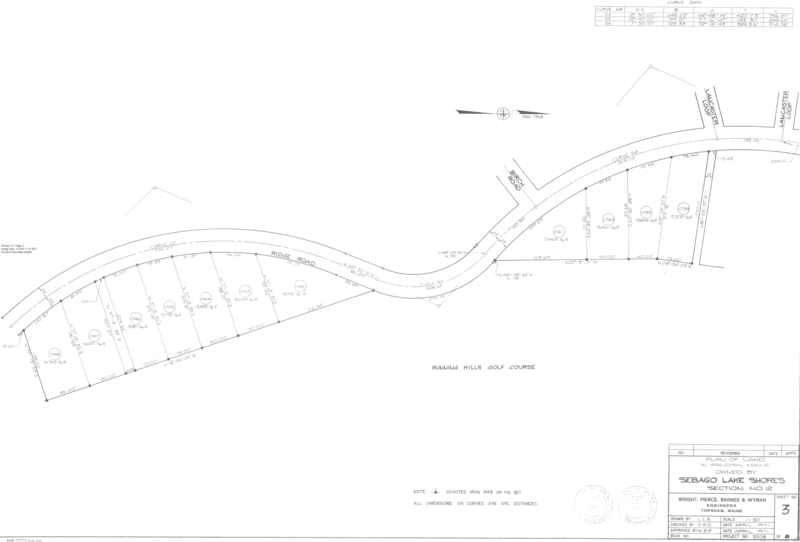 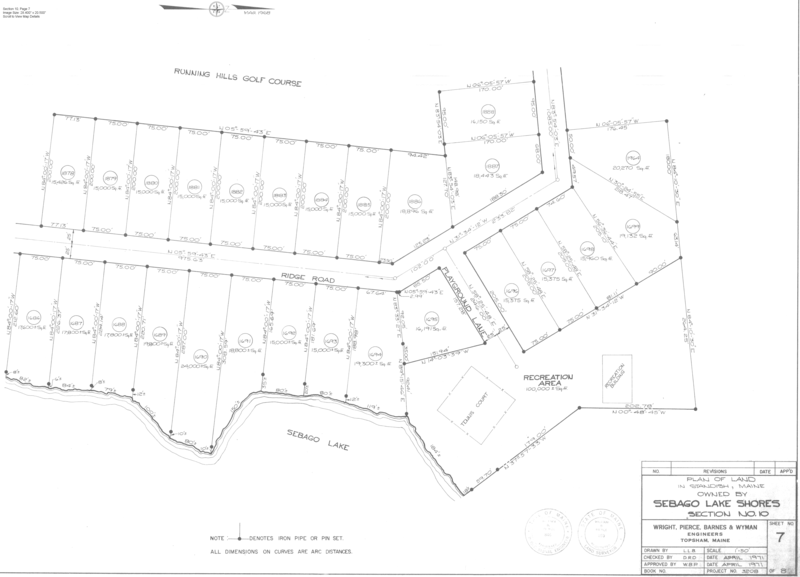 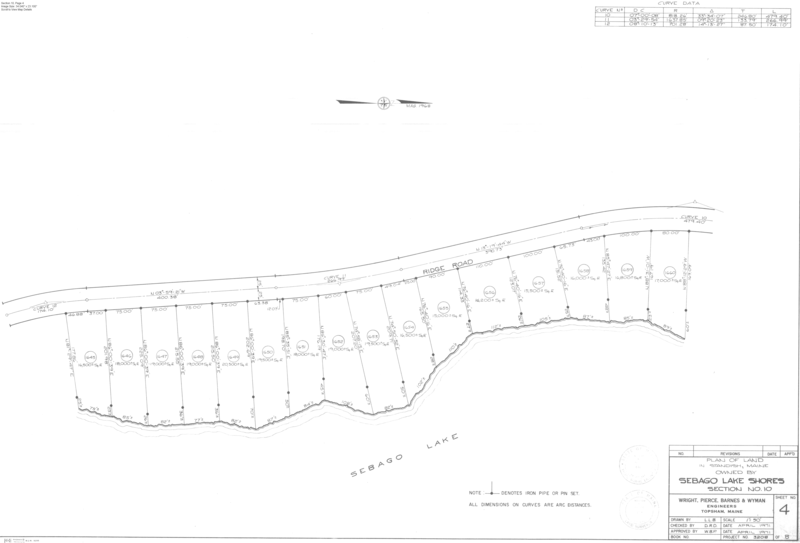 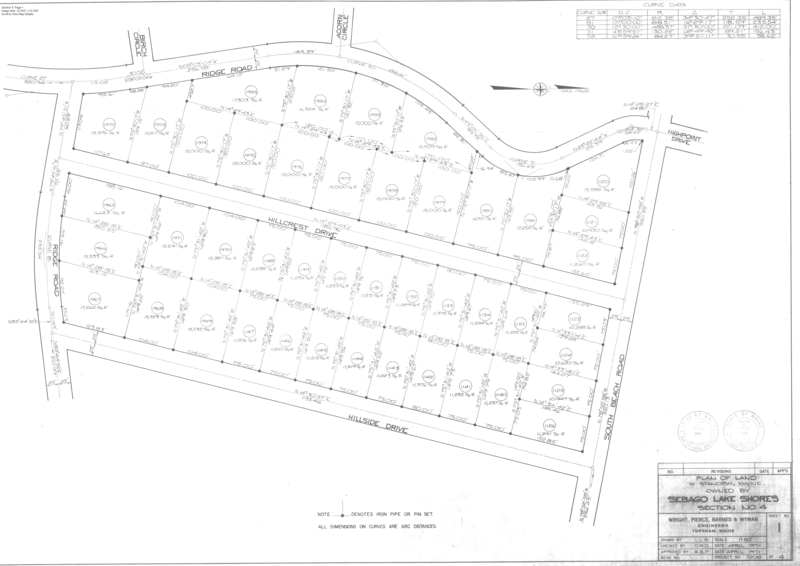 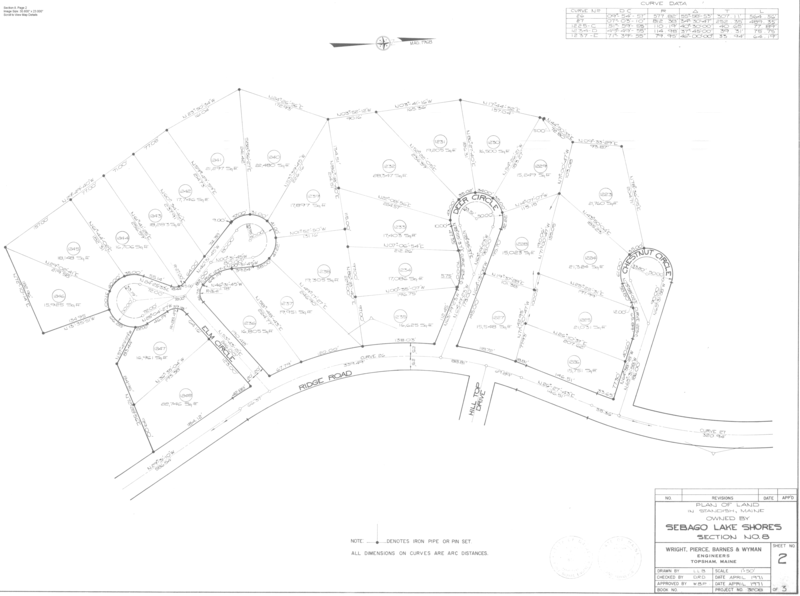 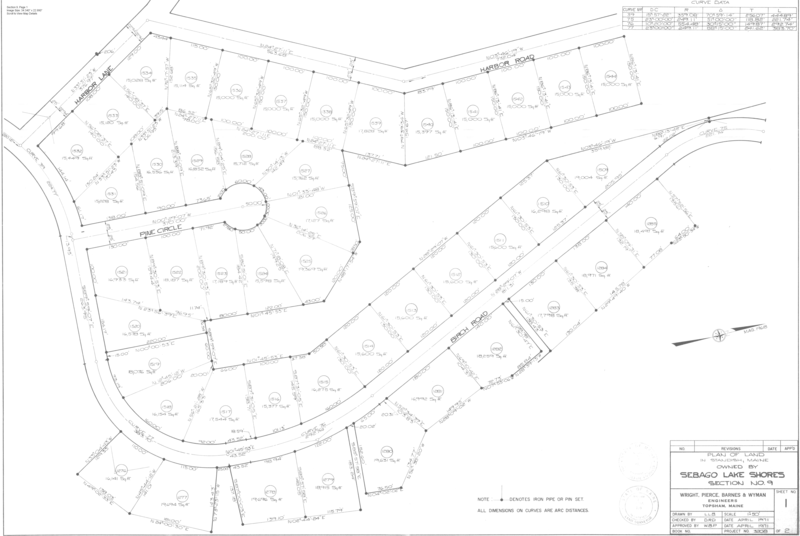 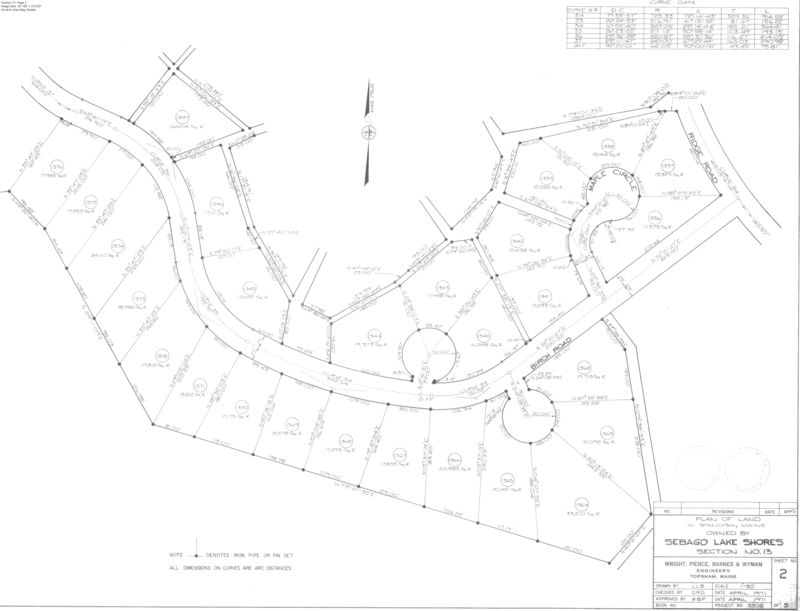 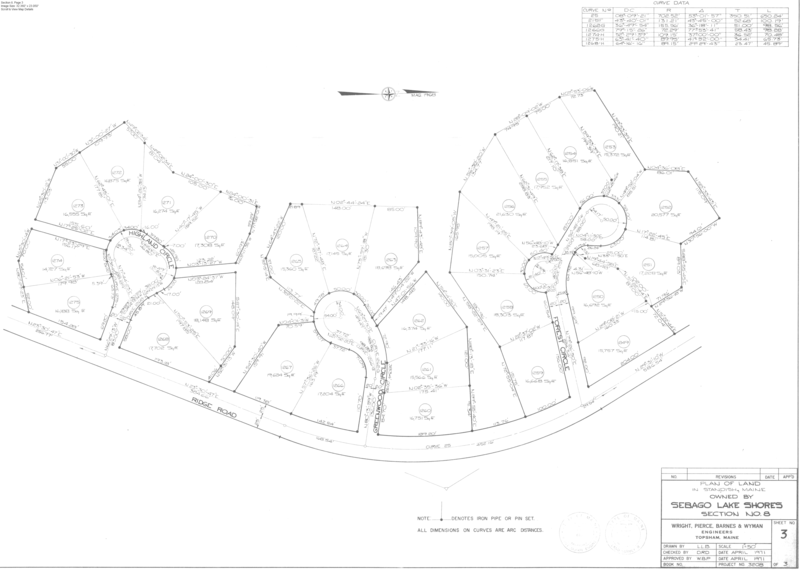 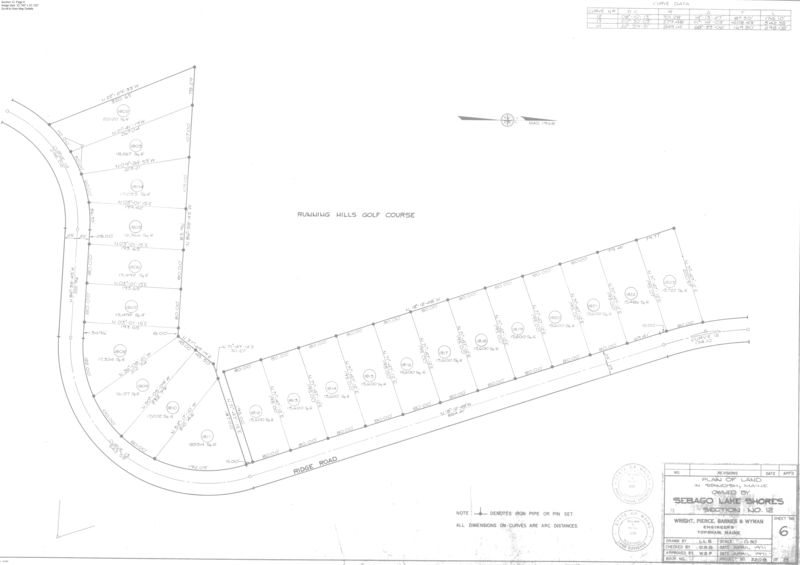 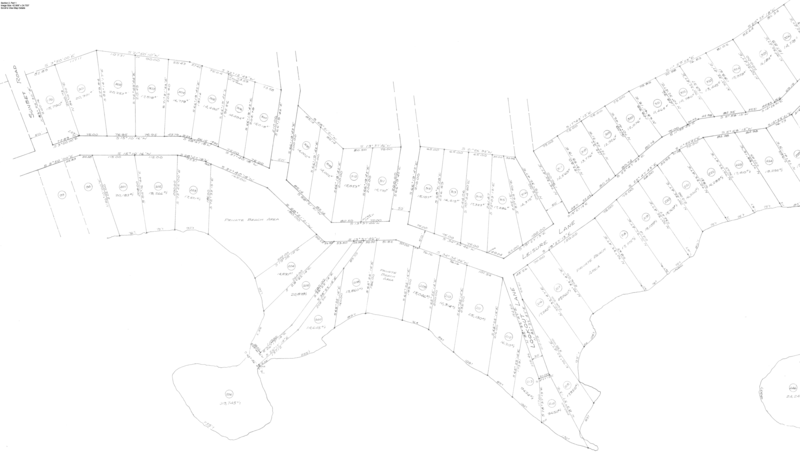 The electronic copies of the subdivision development maps on Frye Island have been placed online at this time. 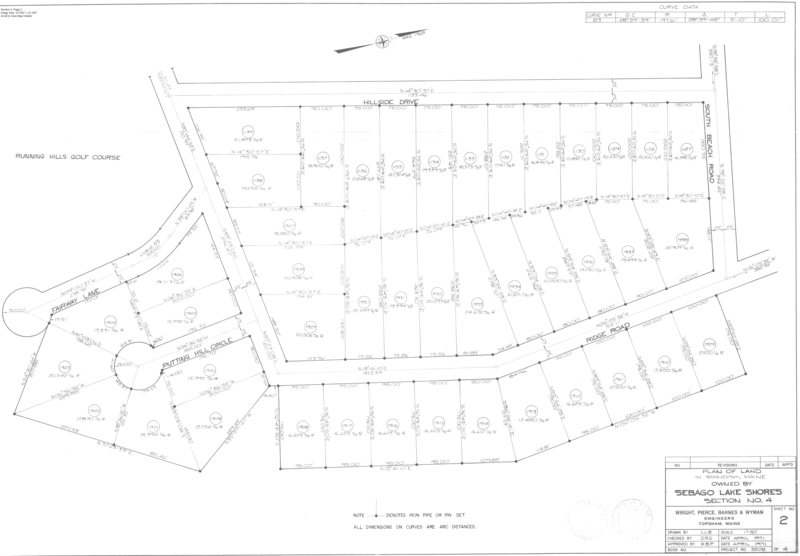 The information can be accessed by Map Number, by Town Lot Number or by an Island map - use the links above to jump to that section of this webpage. 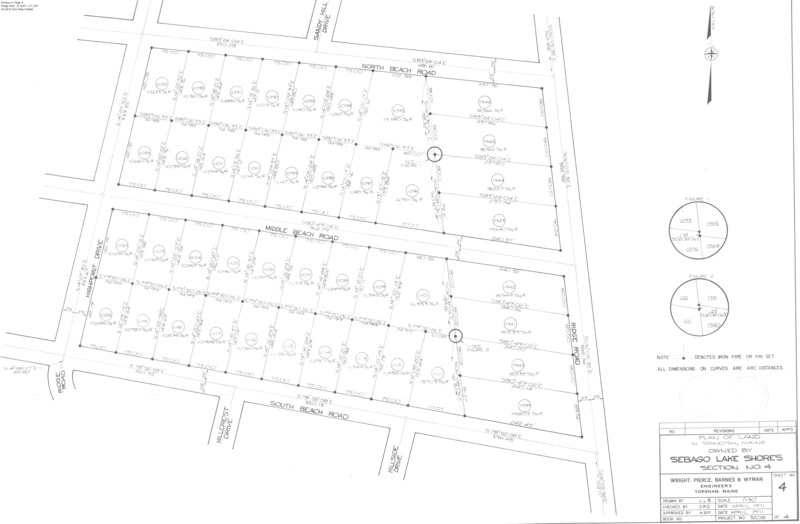 The map information can be viewed by an Internet browser (e.g. 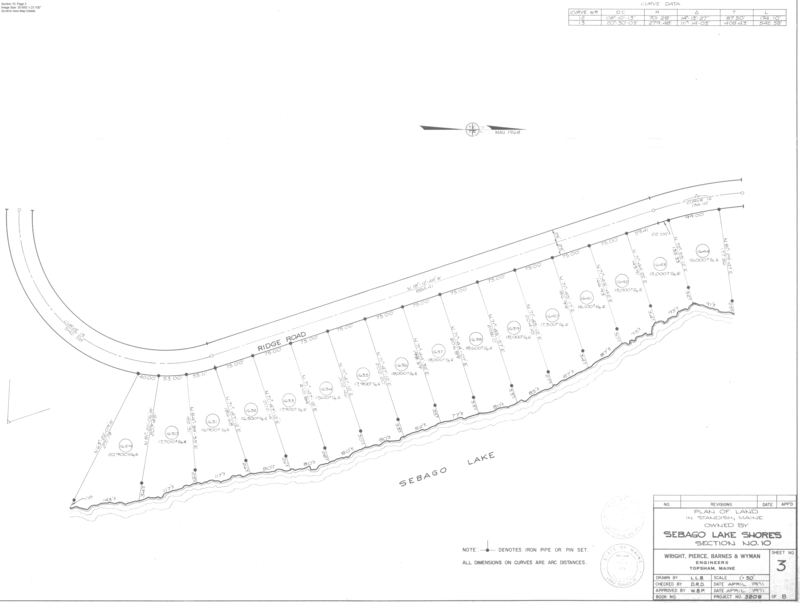 Microsoft Internet Explorer). 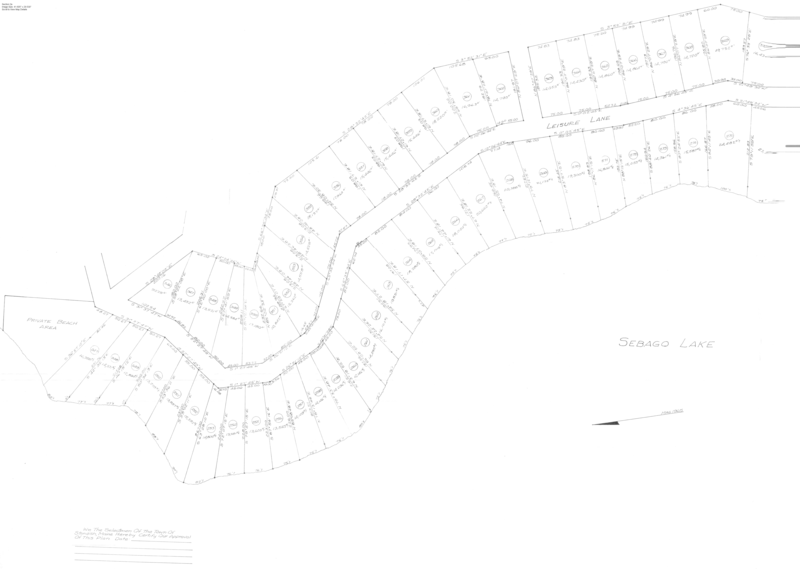 Don’t be surprised if the image of the section map is unreadable when it is downloaded to your Internet browser. 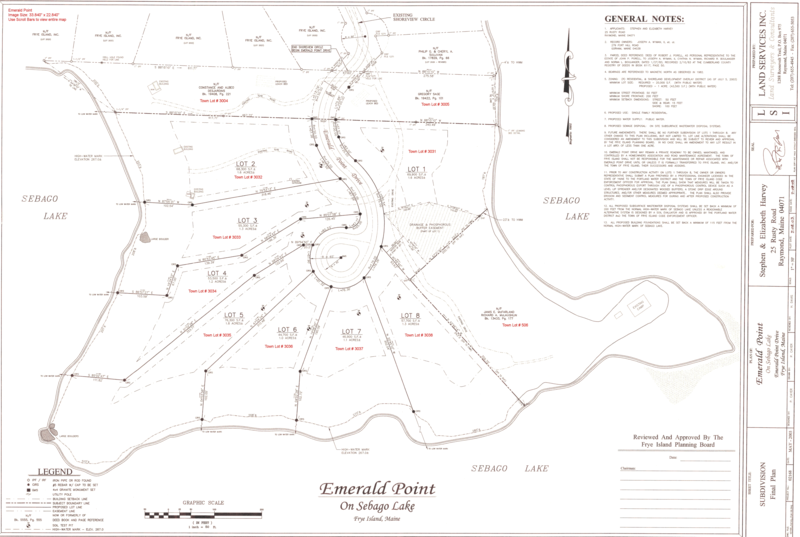 The later versions of Microsoft Internet Explorer automatically resize an image to fit the PC screen. 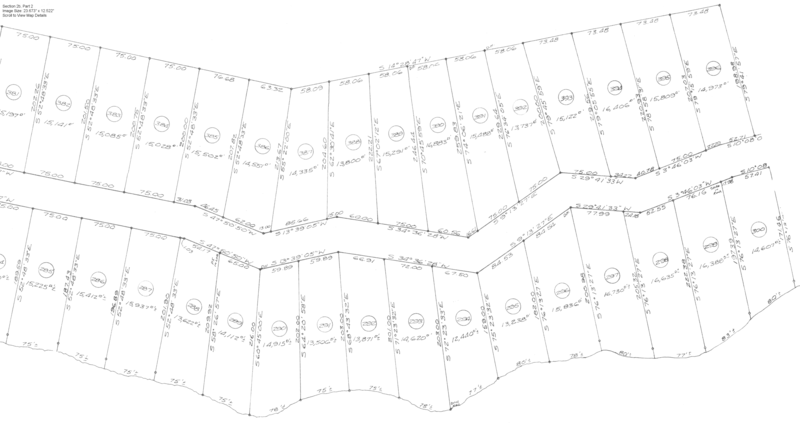 The sections maps are in the 2’x3’ page size. 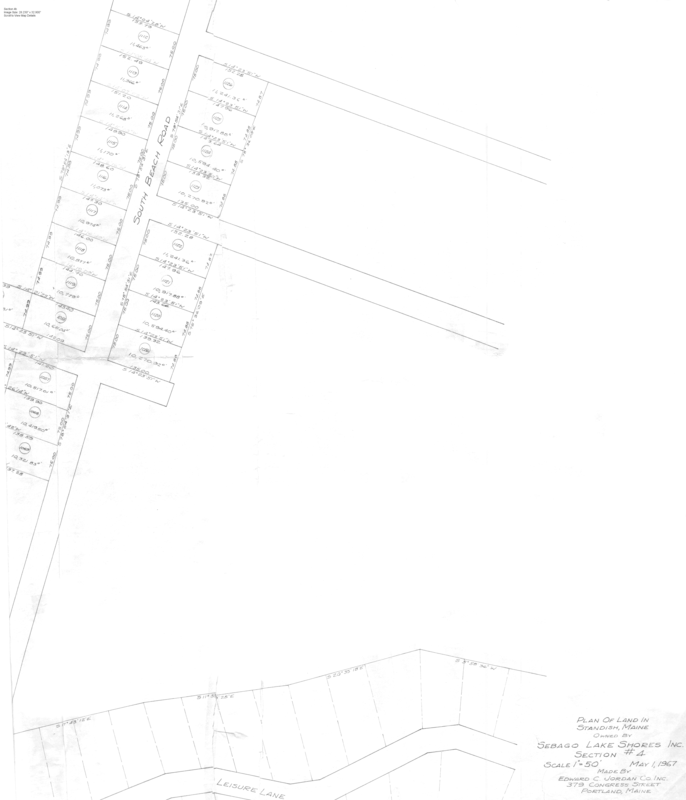 Just tell Internet Explorer to enlarge the view. 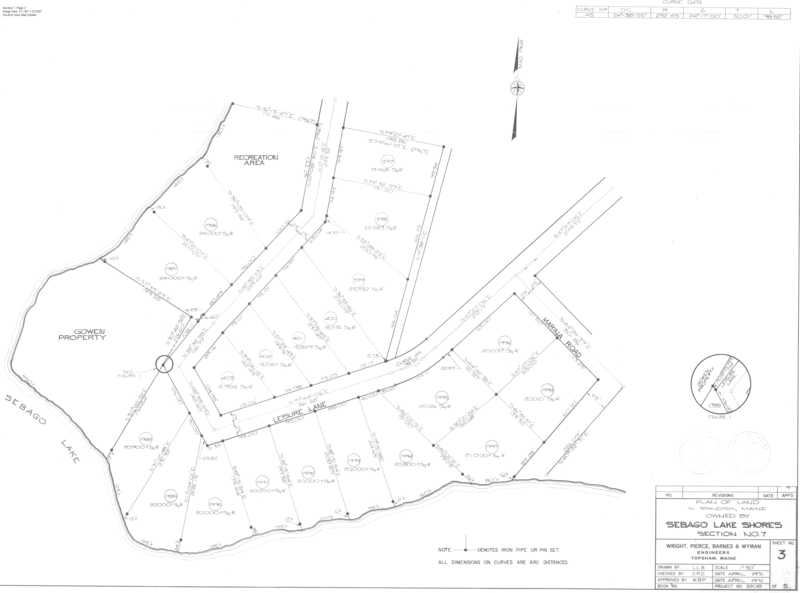 The map files can be downloaded to your computer by right-clicking on the map link. 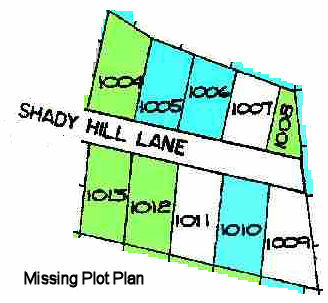 Once the file is on your computer, a graphics program (e.g., Paint Shop Pro or the graphics program that comes free with most digital cameras) can be used to crop the map to make an 8.5" x 11" copy that can be reproduced on your printer. 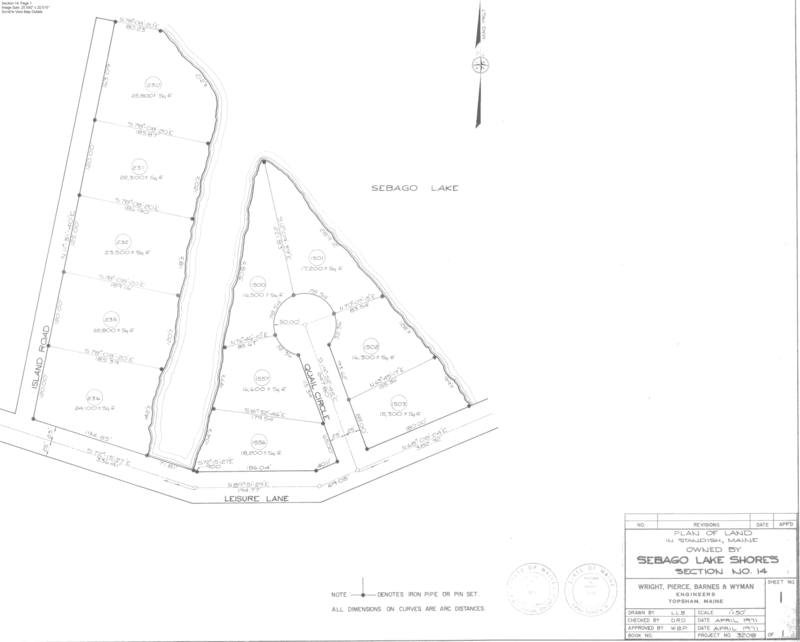 The numbers shown in brackets refer to important notes at the end of the table. 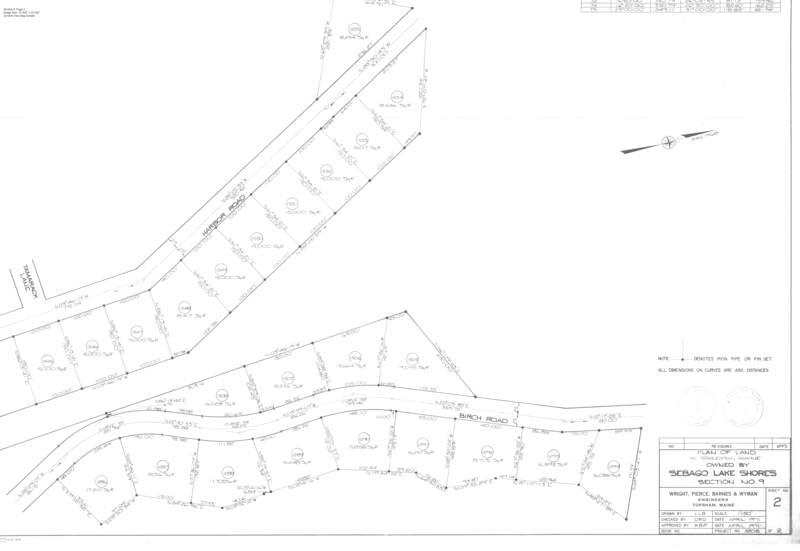 The Section Maps are in PNG format. 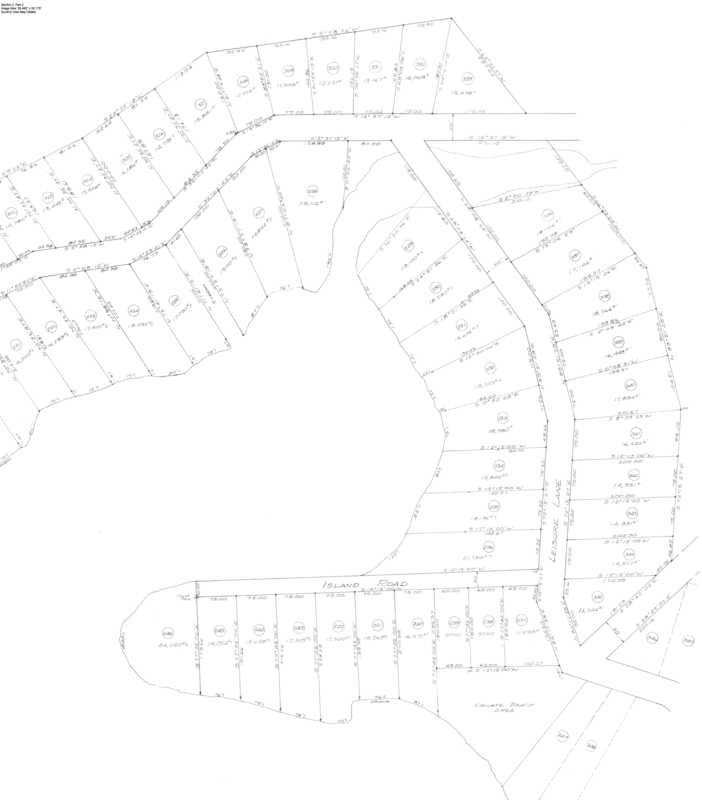 Some Internet browsers have an automatic sizing option; if that is turned on you will end up with an image that is so small the printing will not be readable. 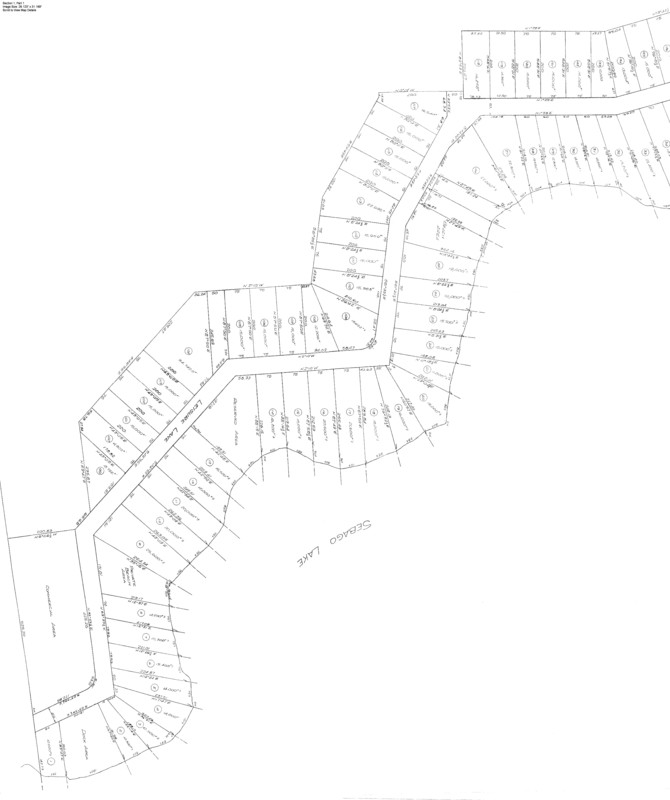 You can download any of the Section Maps to your PC by right clicking on the link. 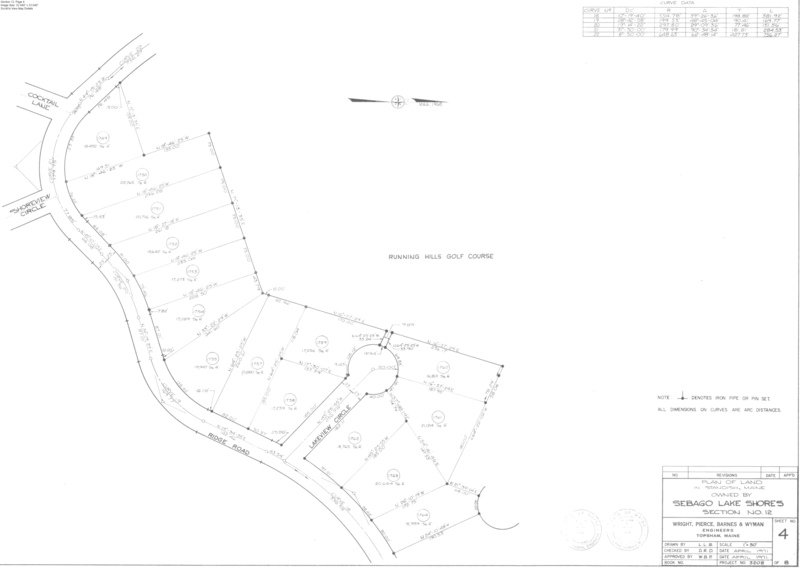 When it is on your PC, the map can be viewed in a graphics program allowing the user to zoom in & out for better eadablity. 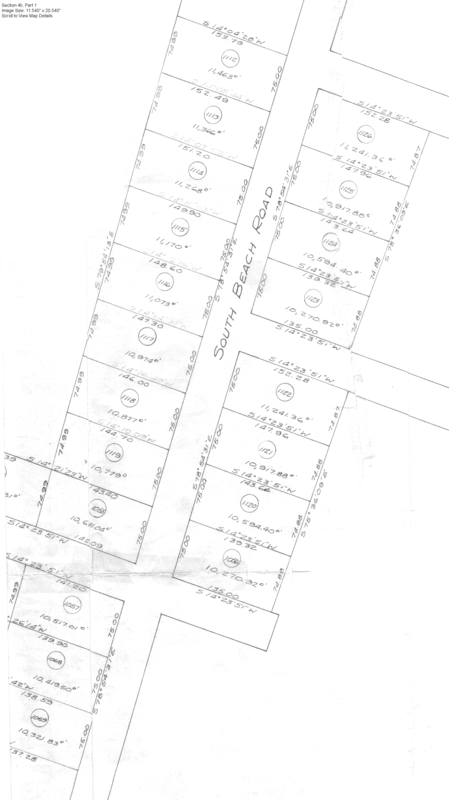 a Lot 24 has been split between two owners and is referred to as 3001 & 3002 in some documents & maps. 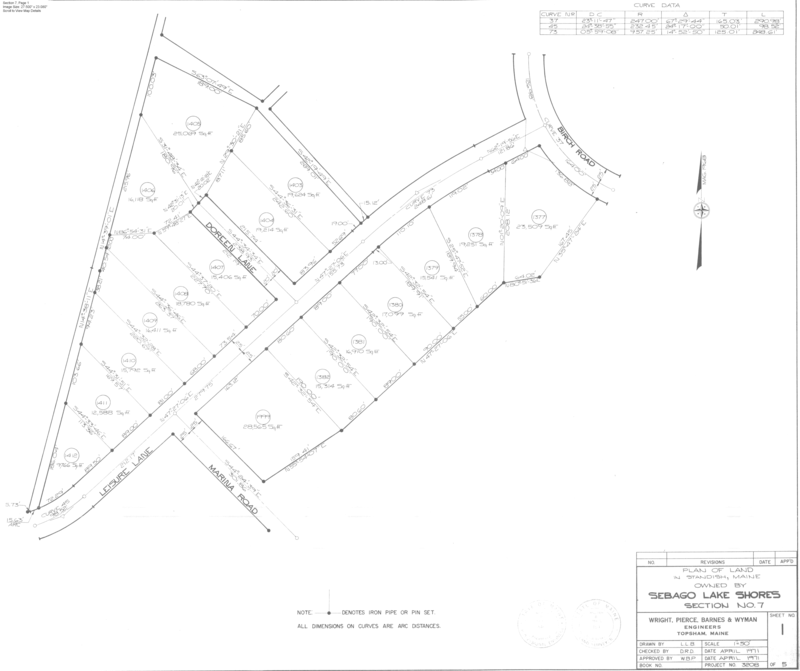 b The two parcels South of lot 26 have been assigned the lot numbers of 504 & 507 in other documents. 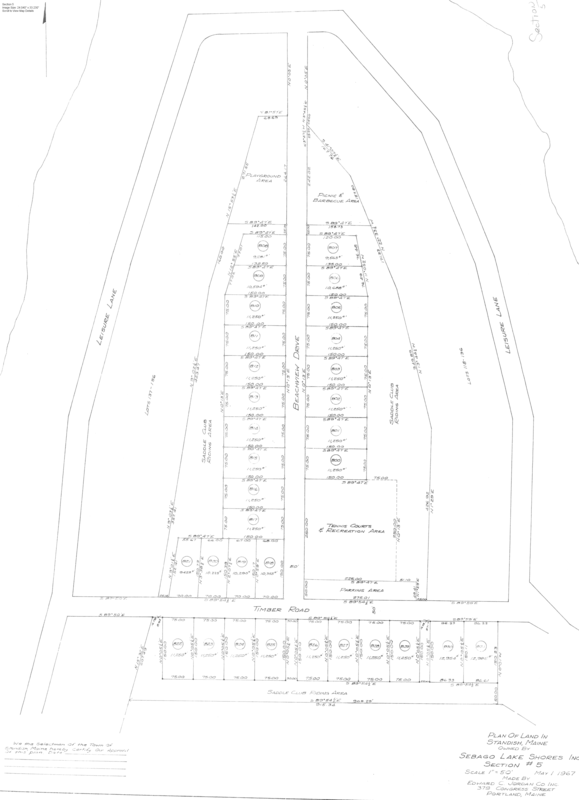 Lot 50A is shown as 3003 in other documents. 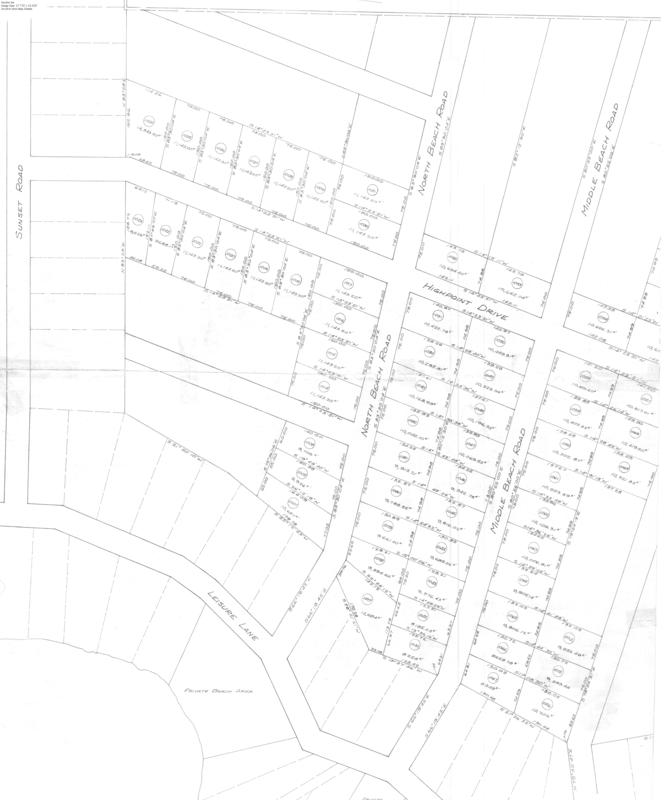 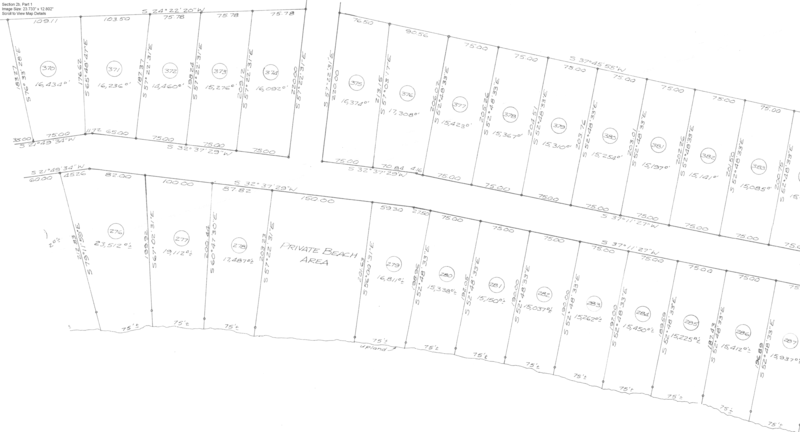 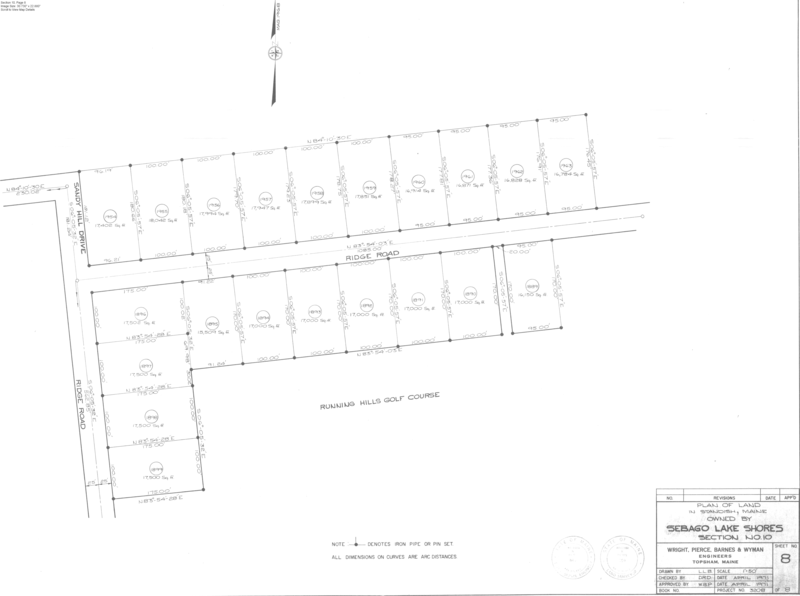 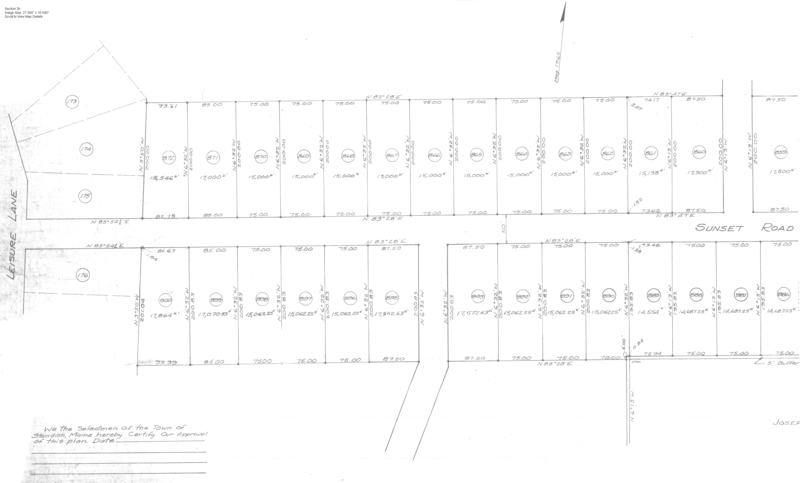 a Lots 229-235 were eliminated; see the subsequent Section Map 14-1 for details where Quail Circle road lots were added. 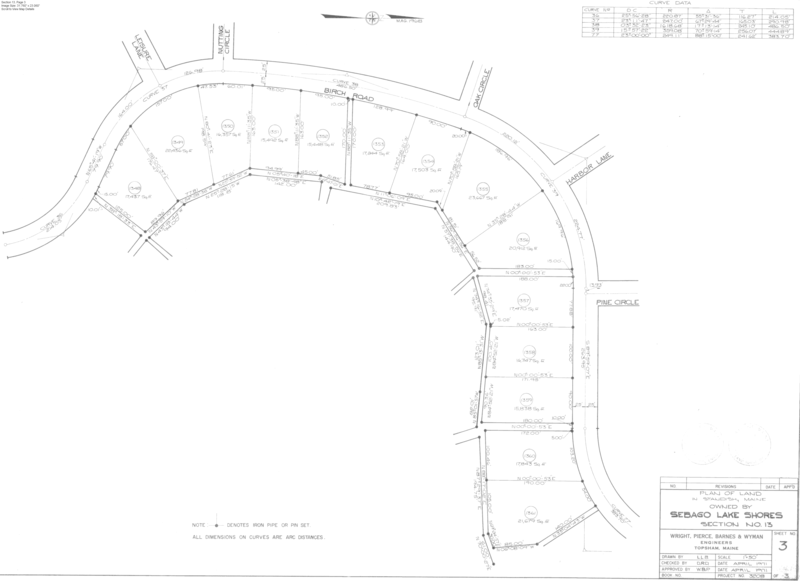 b Lot 236 was redone; see Map 14-1 for current dimensions. 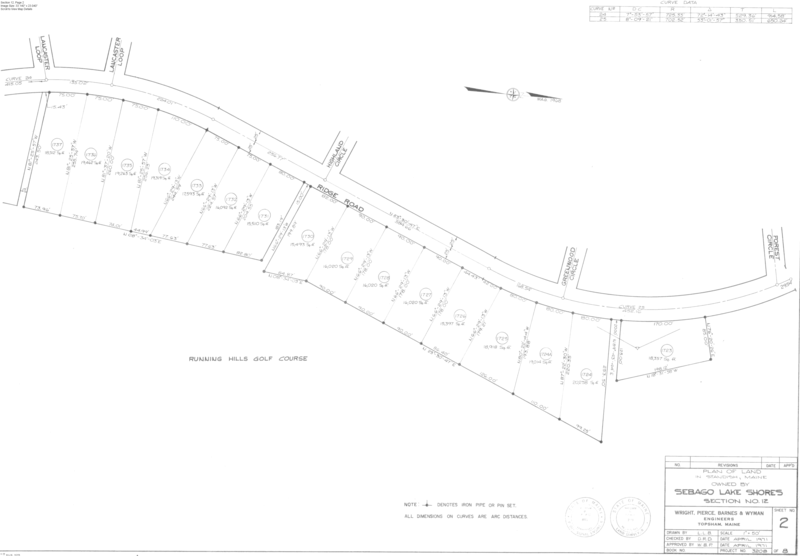 c Lot 333 seems to have been eliminated and replaced by an access path. 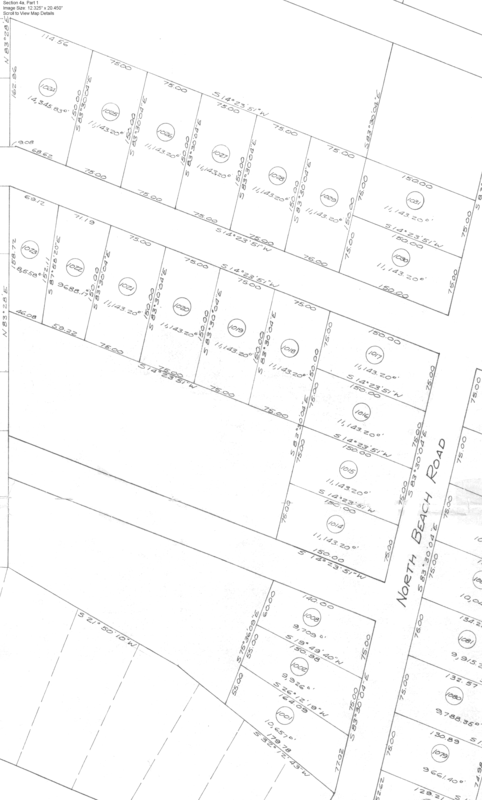 Lot 176 appears on both Section Map 1 and Section Map 2, and the lot dimensions are slightly different. 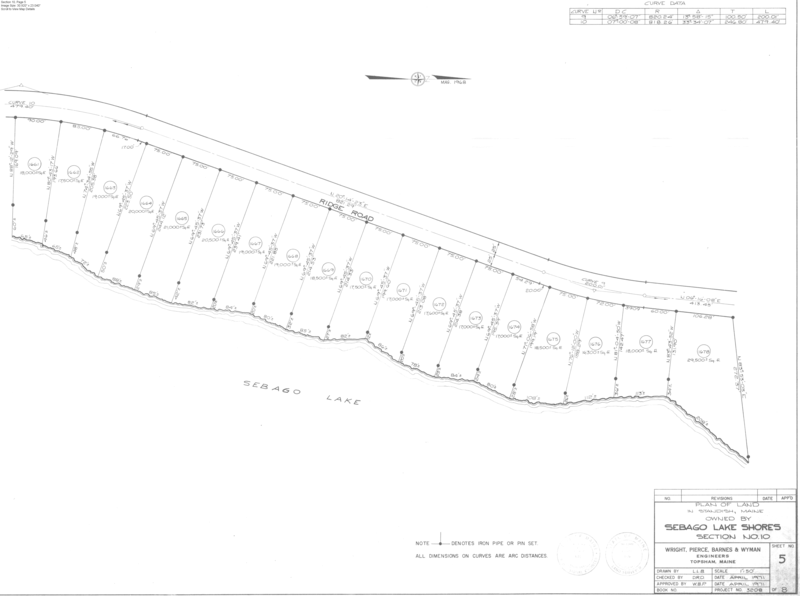 Lot 882 is now White Way. 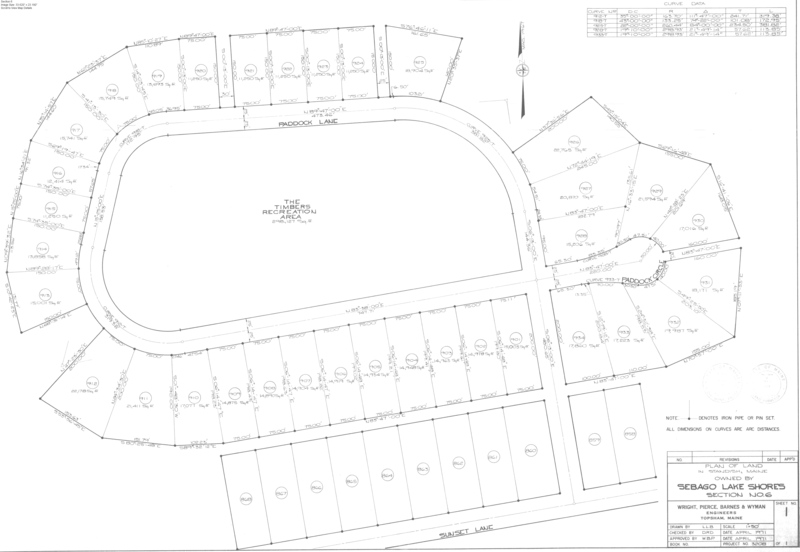 Lot 800 is part of the ball field. 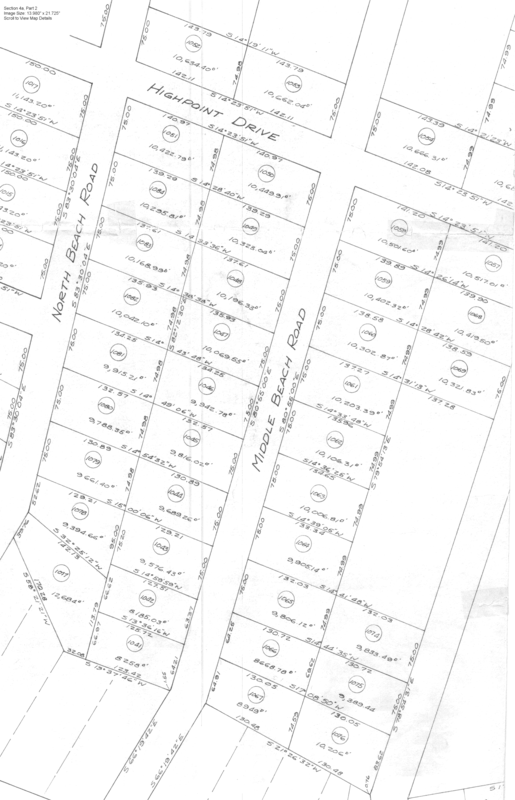 Lots 1052-1054 appear on both Section Map 4a and Section Map 4-4, and the lot dimensions are slightly different. 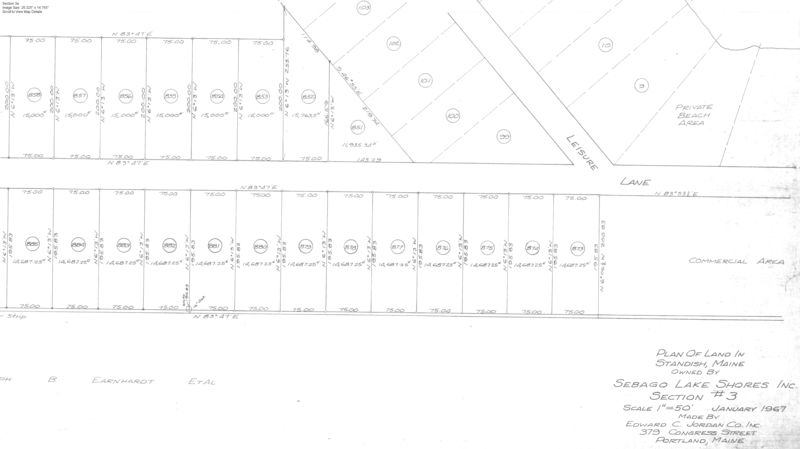 a Lot 1056 has been eliminated and the land incorporated into Lot 1120.
b Lots 1120-1126 appear on both Section Map 4b and Section Map 4-1, and the lot dimensions are slightly different; Lot 1120 has major difference. 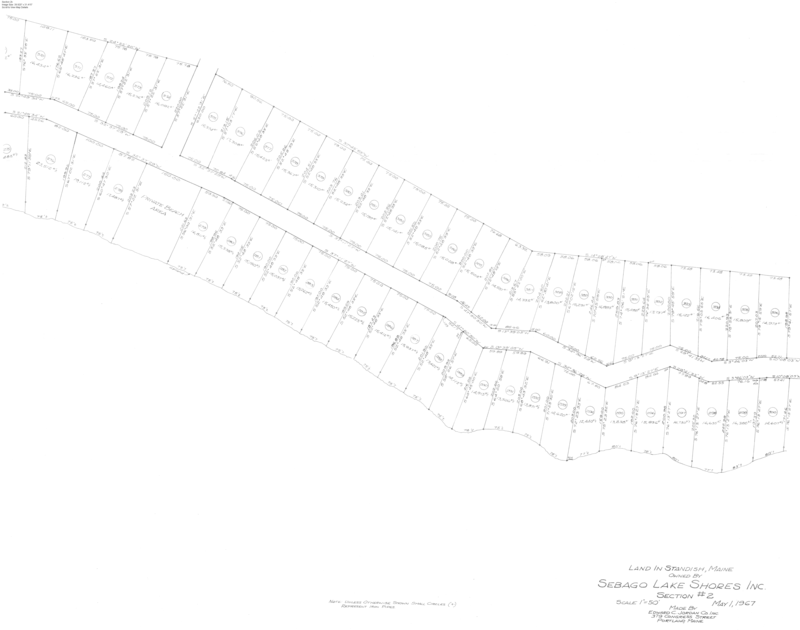 Lots 1112-1119 appear on both Section Map 4b and Section Map 4-4, and the lot dimensions are slightly different. 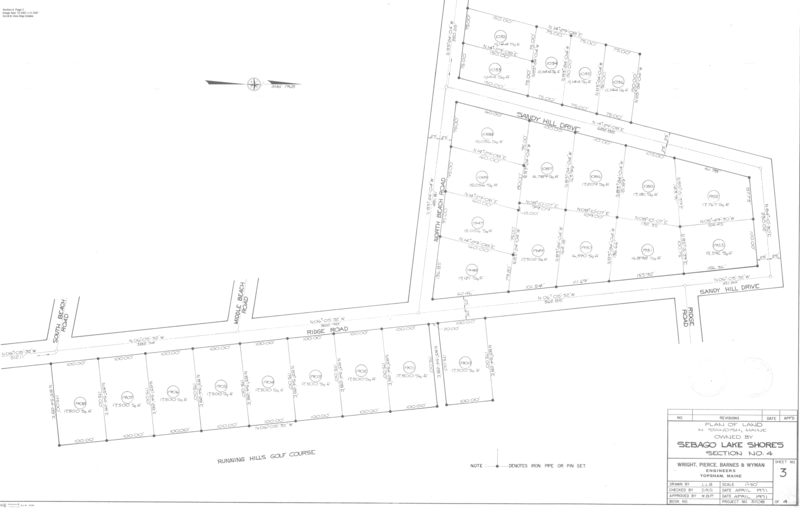 The following table is a listing by Town Lot Number that links directly to the map containing a particular lot. 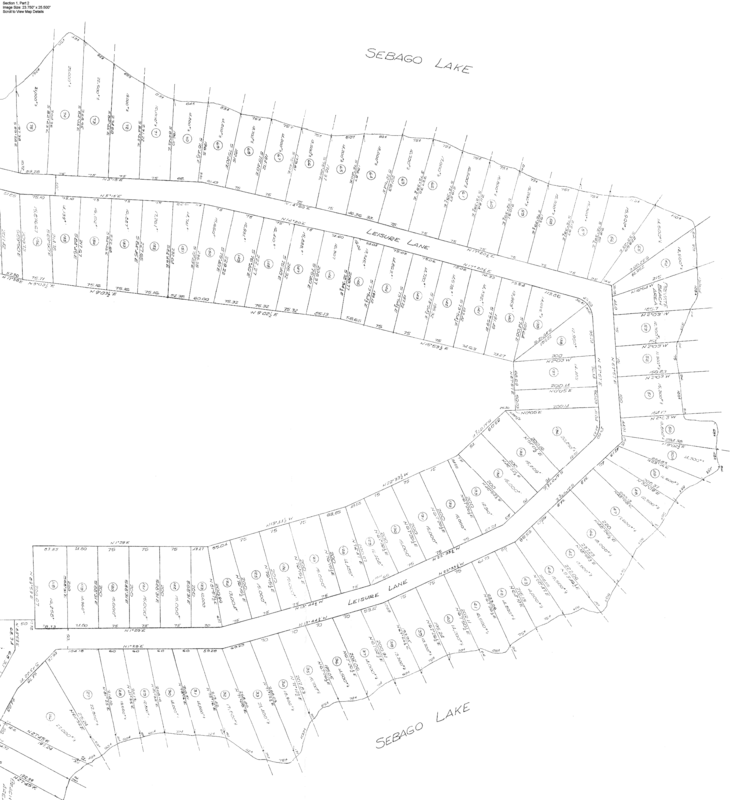 * if a lot is at the edge of a map, it may appear on the adjacent map also. 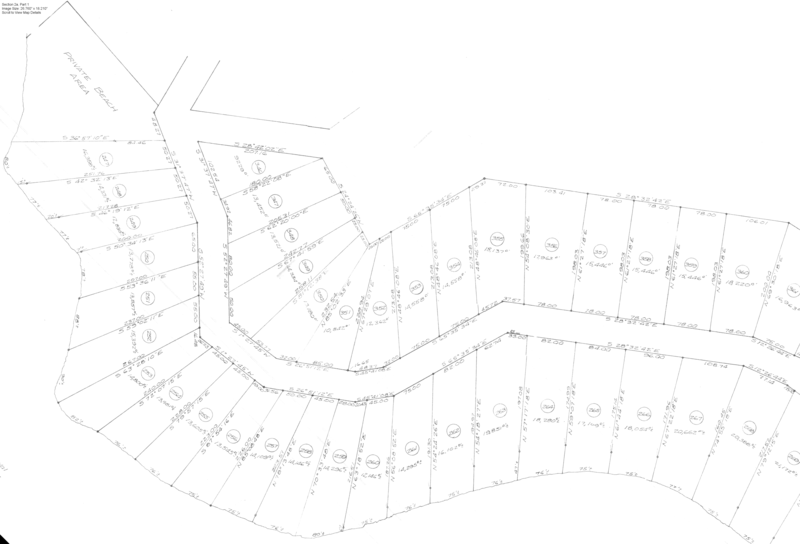 ** lot numbers shown in black did not have subdivision maps available for scanning. 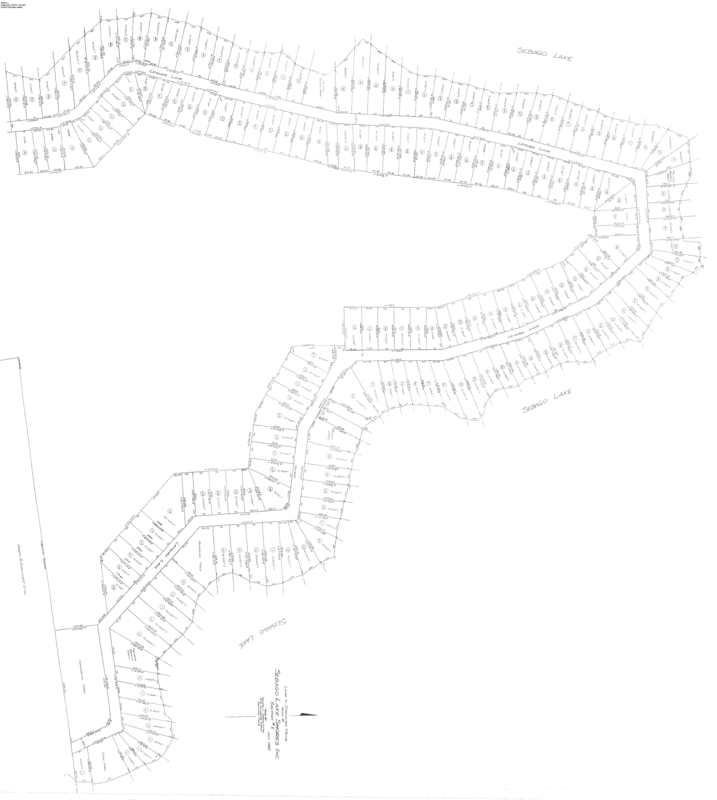 The following map is clickable to jump to a particular Section Map. 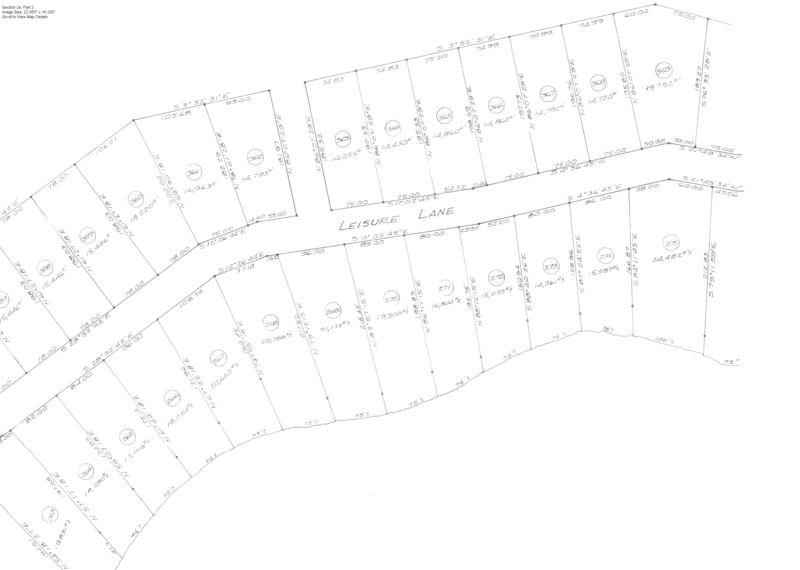 Please remember that the map file sizes are large, meaning long download time for dial-up users. 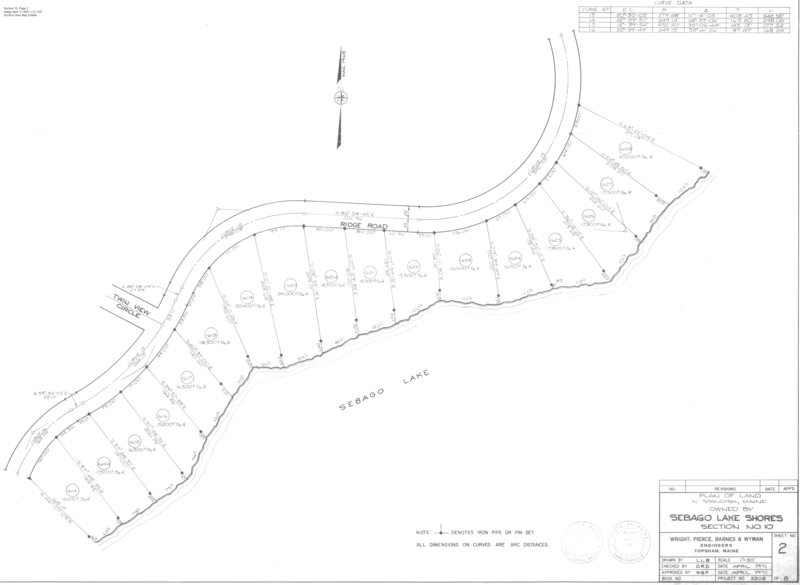 Users requiring assurances as to Frye Island lot boundaries should consult a qualified land surveyor, particularly before constructing any buildings or improvements.